Shelby, a 12-year-old Collie who suffers with arthritis and other ailments, tries on a leg brace 3-D designed by six students in the College of Science, Technology, Engineering and Mathematics. 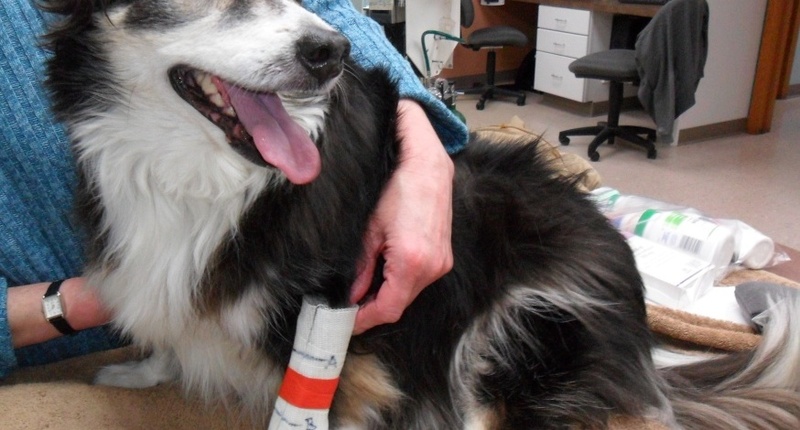 Shelby, a 12-year-old Collie, has several health problems that make it difficult to move around, but six Youngstown State University students are using 3-D printing technology to help improve her mobility. The students are working with engineering professor Guha Manogharan to develop a brace for Shelby. Shelby belongs to Laurie Wittkugle, an administrative assistant in the College of Science, Technology, Engineering and Mathematics. Shelby has all of her limbs, but she became crippled at an early age. Several conditions, including progressive rheumatoid arthritis, make it difficult for her to move around. The group is focusing on Shelby’s left leg, which is where her deformation started. Craig Householder, Karen Schilling, Jennifer McAnallen, Jason Doll, Abdullah Alsairafi and Jared Clark are working on the project. Doll said they want to assist Shelby’s mobility and try to improve her quality of life. 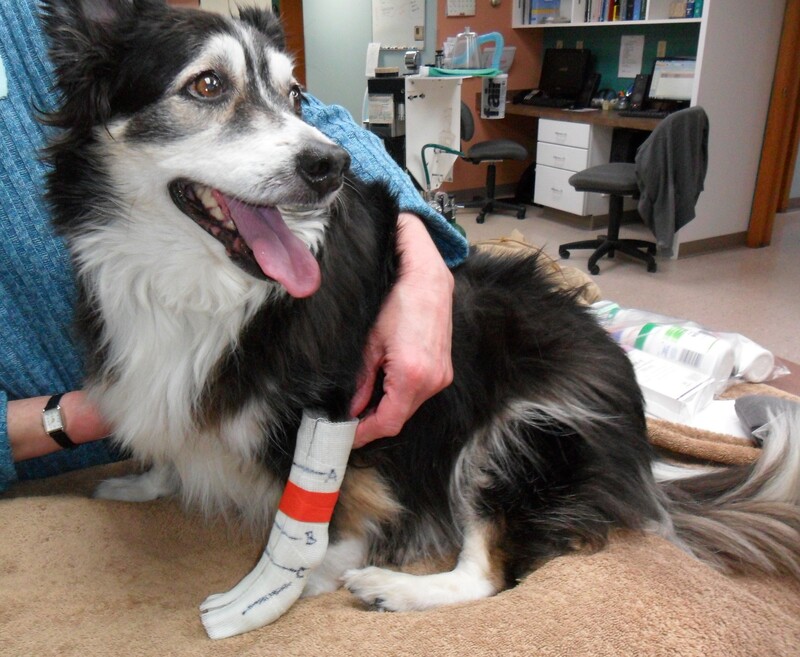 The brace will add carpal tunnel support and reduce tension on her paw. It will also add padding and traction to help her move around. Householder said they conducted a lot of research to determine what could be done and how they could do it. He worked in conjunction with Luke Lukasko, Shelby’s veterinarian, to analyze X-rays and convert them to 3-D.
Schilling researched what materials to use, particularly what they should use to line the brace. “Shelby has reactions to various materials, and we needed to add a comfortable thin layer lining the inside of the brace, so we don’t add any extra discomfort to Shelby,” Schilling said. Other students have looked into other animals that have been assisted by 3-D printing and analyzing the gait of dogs. Householder said the project broadened the group’s knowledge of advanced manufacturing techniques. Clark said projects like this could lead to inexpensive custom braces for animals and humans as well. “Any brace or support that is specifically custom fit for the animal or person that it is intended for will always assist better than standard fit,” Clark said. Alsairafi said they’ll be happy if they can make Shelby’s life a little easier.